Africa's resource use traditions represent enduring connections between the past and the present, which remain largely ignored in development planning. Soliciting archaeological and historical ecology perspectives, the panel explores the role of socio-ecological know-hows in Africa's future. In the African countryside, diverse food production and environmental management traditions have developed for centuries. These embody perhaps the most enduring connection between the past and the present of local communities. By casting a fishing net, tending to livestock or tilling the land, people produce food, maintain ancestral links with their surroundings, and nurture socio-ecological know-hows. There is growing understanding of the historical roots, legacies and impacts of traditional resource management. Some of these are now recognised and allegedly protected as intangible heritages. Yet, this vast pool of socio-ecological know-hows remains largely untapped in governmental policies and state-sponsored development. In these contexts, big-data science and modelling are the basis for producing new knowledge, numbers and curves that inform planning and implementation of production economies. A megadam will soon supply energy to the city, whereas new settlers are negotiating new environments. Seaside resorts are developing award-winning earthen architecture, while fishing hamlets are pushed aside. 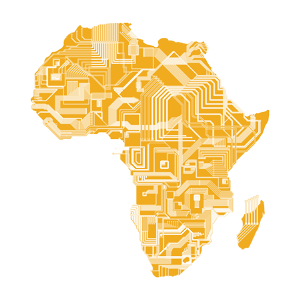 Is Africa facing a contest of knowledge for the future? Are aspirations for sustainable development disconnected from the survival practices and attitudes of local communities? This panel calls for contributions that explore the (dis-)connections between local traditions, tangible and intangible heritages, and economic development. Bringing in archaeological, historical and environmental history perspectives, we solicit papers that engage with the factors and the mechanisms of resistance and disruption that are shaping the relations between socio-ecological knowledge, community power and national polities in Africa. Mambo ya Zamani : (Dis)continuity of sacred forests' conservation in the North Pare Mountains, Tanzania.